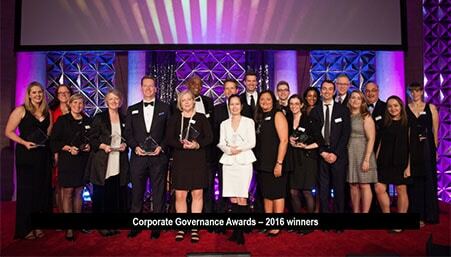 Congratulations to all nominees at the Corporate Governance Awards! Last Thursday Corporate Secretary hosted their Annual Corporate Governance Awards. We had the pleasure of attending the event and congratulating two of our clients who were nominated for Best Proxy small to mid-cap. Congratulations are in order for all nominees! Check our Korn Ferry’s proxy statement to see why they won… happy reading! By Molly Doran|2019-03-05T09:41:29+02:00November 8th, 2016|Categories: Lab Insight|Comments Off on Congratulations to all nominees at the Corporate Governance Awards!